At ActonHaigh we are passionate about understanding the spirit of our property business. Within our property portfolio we pride ourselves on an exclusive portfolio of prestigious homes and residential properties available for rental for long or short periods and/or, to buy. With ActonHaigh, there is no need to worry about the quality of properties; in many instances we have been involved with the development or have inspected each to ensure it meets with our strict selection criteria which is focused on one essential ingredient, the 'wow factor'. To meet with ActonHaigh criteria a property must have a combination of quality construction with architectural interest, generally a private setting, luxurious furnishings and modern, high quality equipment. To ensure a smooth transition, the ActonHaigh Property team consists of a number of highly motivated employees, each having first hand knowledge of our property portfolio to provide customers with a high level of service and informed advice. We also partner with leading chartered surveyors and specialist property experts. At ActonHaigh Property, we offer professional services and support in all aspects of land and property management with particular expertise in the residential property sector identifying commercial opportunities for private landlords and rental customers and our speciality is residential 'turn-key' rental agreements. Whichever you choose, we are confident you'll enjoy your ActonHaigh experience. ActonHaigh Property is looking to expand its residential portfolio is in two key service areas; sales and 'turn-key' long and short term rental agreements. 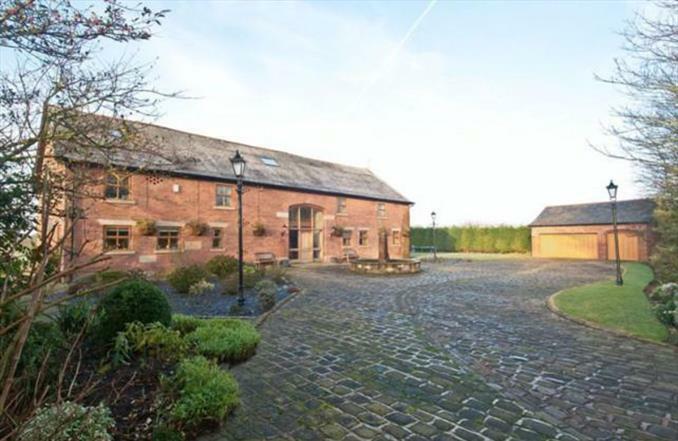 A simply stunning barn conversion dating back to 1728 and set in private gates grounds in the sought after West Lancashire village of Bretherton. The property occupies a large plot of approximately 3 acres, benefits from open rural views and provides a wealth of living space finished to the highest of standards throughout. Internal inspection is a must and will reveal accommodation of real character with no expense spared. Highlights briefly include bespoke central oak staircase, Five bedrooms, four reception rooms, beautiful gardens, lantern lit stone cobbled courtyard and a double garage.